Cards feature the Spanish word, pronunciation and illustration on one side and the English translation on the other side. Phoenetic transcriptions help the child, parent or teacher to pronounce the word correctly. The flashcards will help your child to build vocabulary, word recognition, memory and confidence. An activity guide is provided for parents / teachers. 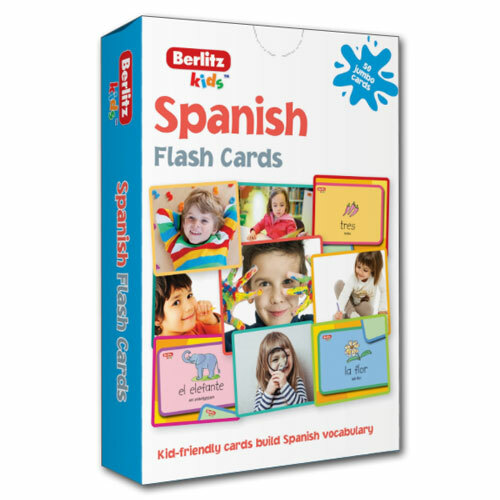 Berlitz Kids Spanish Flash Cards are suitable for complete beginners of Spanish. Full support is provided for parents / teachers having no previous knowledge of the language. 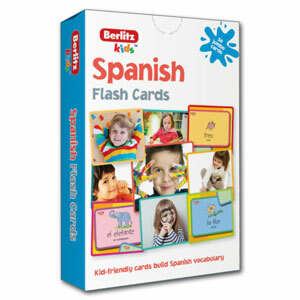 I purchased the Spanish flash cards for use with my 3 year old daughter. She loves the bright, eye catching designs and I love the phonetic prompts at the bottom of each card, explaining the pronunciation. She likes practicing the words, but also likes categorising the cards and telling stories with them. They are incredibly versatile.